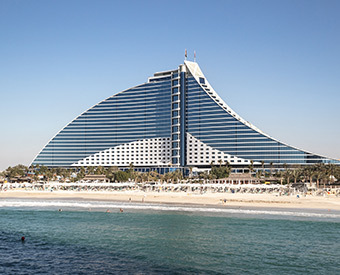 Dubai’s famous wave-like hotel, Jumeirah Beach Hotel, is in its final phase of its six-month refurbishment. After temporarily closing in May 2018, the property that helped set the tone for what is arguably one of the most iconic skylines in the world, has undergone a stylish makeover – just in time for its 21-year anniversary celebrations in December. Set to re-open in October 2018, the hotel is already taking reservations and after seeing its modern new-look, our bet is it will be fully booked quicker than you can say ‘UAE’. A favourite with beach-loving families, Jumeirah Beach Hotel’s facelift has stayed true to its surroundings. 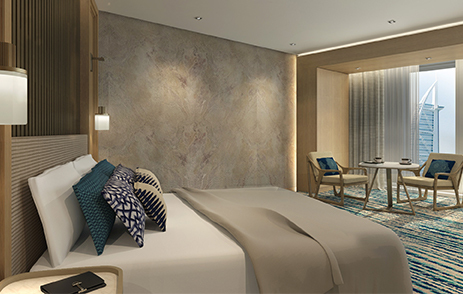 Drawing inspiration from Dubai’s azure sea and silky-soft sands, a modern and contemporary theme flows through the refurbed hotel echoing that of its famed wave-shape exterior. A palette of blue and beige creates a calming ambience that enhances its market proposition of being a relaxed luxury family destination. The extensive refurbishment includes 425 guest rooms, the lobby, retail areas, beach, outdoor facilities and restaurants. Guest’s first impression of the hotel will soon be a bright and spacious lobby that offers direct views of Burj al Arab Jumeirah. 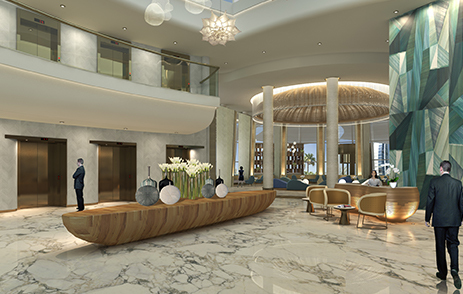 Featuring a beautiful oversized lit wall with wave effects to frame up the space and curvy bronze panels at the check-in desks and marble floors; the Reception and Concierge areas will be expanded for a seamless guest experience. At its centre is an impressive kinetic installation that recreates the movement of underwater flora. 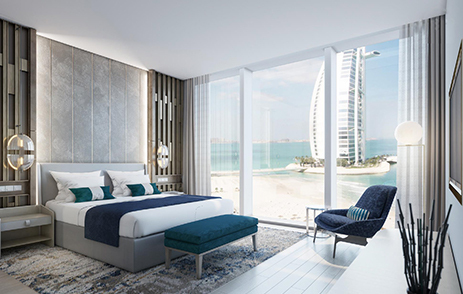 With a focus on the calmness and serenity of the Arabian Gulf throughout all the guest rooms and suites, each beautifully appointed option boasts streams of natural daylight as well as panoramic views of the Burj al Arab Jumeirah and the endless blue ocean. However, for the ultimate stay, you have to check-in to one of the two Presidential Suites. These one-bedroom options fuse a combination of classic white Italian marble with sleek bronze highlights to help create a home away from home. 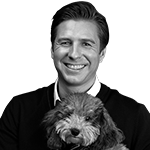 Favourite food and beverage venues including: the award-winning gastro pub Dhow & Anchor; Naya that offers a menu of Indian cuisine; and Argentinian steakhouse La Parrilla are undergoing minor uplifts and will reopen with the hotel. However, a handful of Jumeirah Beach Hotel’s dining destinations are being given the full treatment such as Kitchen Connection, formerly Latitude. Featuring marble throughout, this all-day dining destination draws inspiration from Dubai’s fishing village origins with fishermen basket lamps throughout. Kitchen Connection is set to feature nine live-cooking stations and will present one of the largest varieties of food offerings in the region. 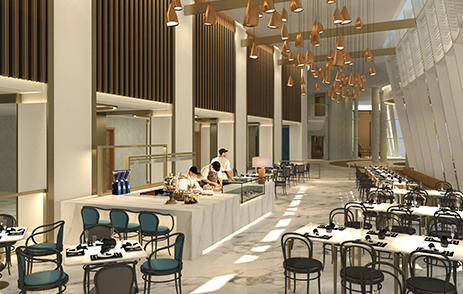 Continuing the new lobby design and the fishing theme of Kitchen Connection, Pearl Lounge (formerly Palm Court) will serve gourmet sandwiches, delicious tartines and a pearl inspired afternoon-tea in a beautifully renovated space. Its centrepiece hangs from the ceiling and is inspired by a fisherman’s net. Plus, those who book rooms with Club access will also benefit from a fully-renovated Premium Leisure Club which offers all-day food and beverages. All of this complements the recently refurbished beach area which was completed in 2017 and now boasts new loungers, umbrellas and food and beverage outlets. 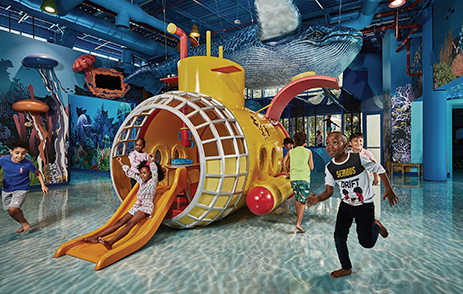 What’s more, the underwater-world inspired kids’ club – that has a fun submarine at its heart – will ensure the perfect family getaway.